On 25th April 2011, CIMB-Principle Asset Management Berhad launched the first Asia-Pacific fund for this year. The fund will invest in dividend-yielding stocks from the Asia Pacific (ex-Japan) region. To brings out the "dynamism" of the fund, a "color-changing dragon" was used. For sure, the company must has placed a lot of hard work to come out with the idea and I think it is a successful example which could attracts the attention of prospective investors. "Investors are generally back to being bullish. After 2 very good years, valuations have recovered and Asia Pacific ex-Japan markets are up. Looking ahead, slower economic recovery of the developed markets will shift investors' appetite to Asia Pacific and this positive outlook will spur further stable investments. We are confident that markets will perform positively and this Fund will satisfy investors' revived sentiments and lingering concerns", said CEO of CIMB-Principal. The fund aims to provide regular income by investing primarily in the Asia Pacific ex Japan region and at the same time aims to achieve capital appreciation over the medium to long term. Last year 2010, Malaysia property market recorded the BEST year ever. Will it be another record breaking year in 2011? 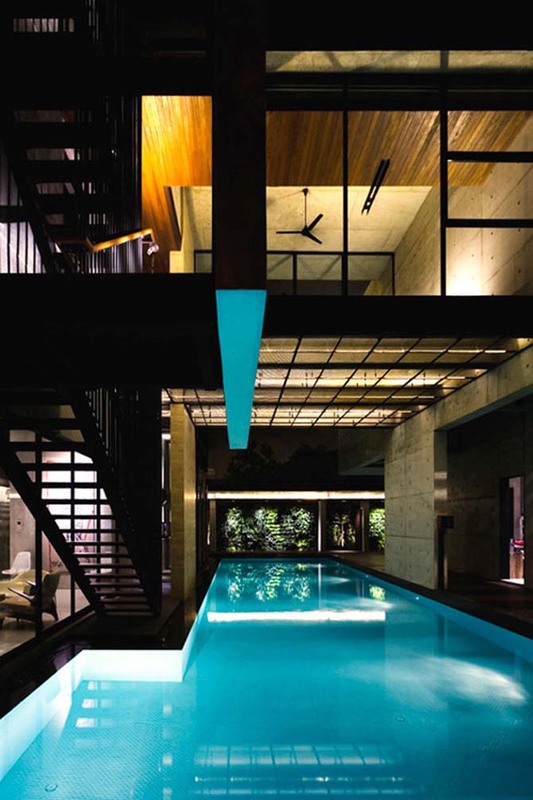 Many economist and property analysts opine that this year, the property market will appreciates by another 10-15%. So, should we wait some more? Recently, many of my friends keeps on asking the same bold questions. Should I buy house now? Or, should I wait some more? But, when is the property downturn? Modern Design: Swimming pool in the house. Good questions though, but if you ask me when is the property downturn, I really do not know. As a rule of thumb, I will rely on the stock market to give me the indication. Commonly, property market will take a blow one year after the crashing of stock market. Example, the 2008 financial crisis gave us a good timing to invest in property market. For those who buy house during that time, you should know what I am talking about and smile. So what? How about now? Yeah... Our long lost friends are here again. These friends are in the limelight again, conquering the lists of most active counters lately. Punters are trading happily because of their relatively cheap price, higher volatility, and most importantly less coverage by analysts. Normally, investment banks did not cover ACE counters due to their not-so-clear business model, hence very hard for them to project their earnings and setting fair value. No estimated fair value means punters can set the "fair" ground themselves. MAAKL Mutual today announced the launch of the MAAKL-HDBS Shariah Progress Fund, an Islamic equity small-cap fund, that gives investors the opportunity to invest in Shariah-compliant growth companies in Malaysia. CEO of MAAKL said:"The investment objective of MAAKL-HDBS Shariah Progress Fund is to provide unit holders with steady long-term capital growth at a reasonable level of risk by investing in a diversified portfolio of small to medium capitalized Shariah-compliant equities and equity-related instruments." Malaysia is known as "tax heaven" of the world. Why? Because Malaysia does not impose tax on any capital gains derived from investment, such as shares, unit trust... 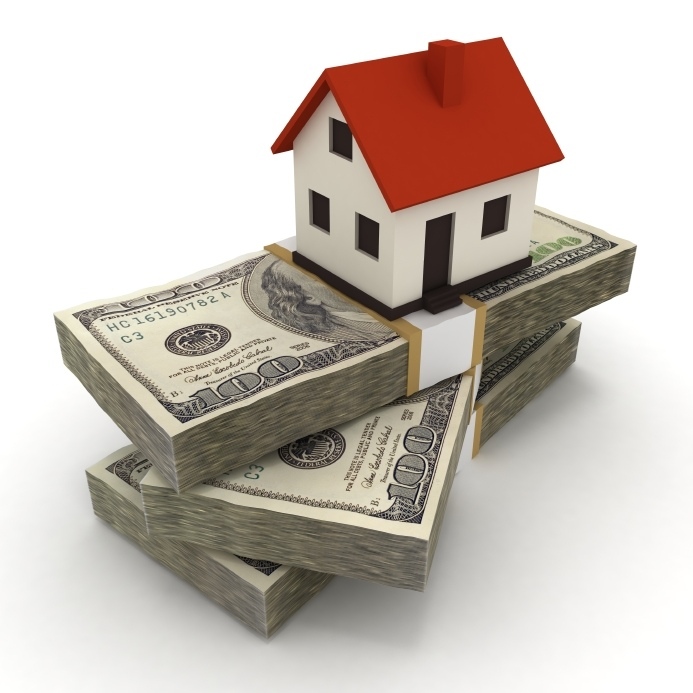 But, there is only one type of capital gains that attracted tax - property. MRT at Iskandar: Is it Viable? When everyone talk about mass rapid transit (MRT) system at KL, it's reasonable given the terrible bumper to bumper traffic jam every working days. 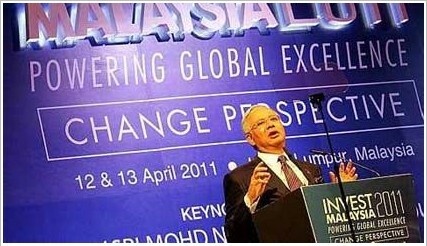 Certainly, it creates a buzz in Malaysia with its RM50 billion price tag. Maybe because of the buzzing topic, Iskandar Regional Development Authority (IRDA) also looking at the possibility of implementing a 500km MRT within the region which would also provide a direct link to Johor Bahru. The project is scheduled for completion by 2020. What's your reaction? I believe many people will think the same with me - unbelievable. My jaw drops down the floor thereafter. We do not have to perform those sophisticated calculation to judge whether the Iskandar MRT is viable or not. I came out with these 3 points. Sarawak state election 2011: BN to lose 2/3 majority? Coming this Saturday, 16th April 2011, the Sarawak state elections will be held and Malaysians will be watching closely on the outcome. Of course, I do not know the outcome yet. In fact, I am afraid to predict it, as the "not so good" result will jeopardize my share investments. 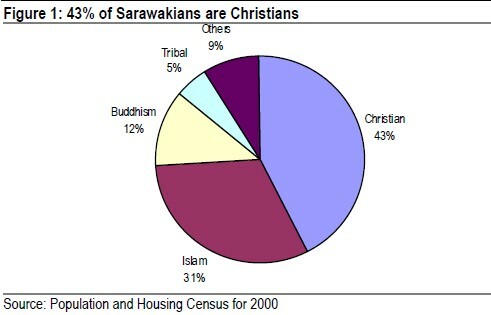 I am not a Sarawakian either, what should I gauge against? As Chinese said, outsiders tends to be clearer than insiders. As such, Finance Malaysia refer to the following article taken from Credit Suisse as a reference, a view from foreigners. BN's 'fixed deposit' will be put to test? The Sarawak state elections will be a key barometer for Prime Minister Najib to gauge the support for Malaysians for the incumbent Barisan Nasional (BN). While previous state elections were seen to be non-events, as Sarawak has always been BN stronghold, these particular polls will likely be the most hotly contested. This round, for BN to lose the 2/3 majority, it will need to lose 24 seats or an additional 15 seats. Thinking that yesterday's 13points drop is enough? Today, KLCI slumps again for the 2nd day in a row. Are you expecting it? Personally, I don't think most of us can predict the future. But, what I can say is that many investors like me would positioning our money very well, anticipating some good announcements during Invest Malaysia 2011 Conference today and tomorrow. If you're thinking the same way, Good Luck!!! Excluding foreign news, NO bad news at all in Malaysia. But, investors see the opposite side now - no good news = bad news! Profit-taking activities set in on Malaysia market beginning this week. If you're not the one who cash out yesterday, you would probably forced to stay on holding until the "tsunami" is over. Money is washing away from the market, flowing overseas (capital outflow by foreign funds). That's why banking stocks, Genting, Petronas Chemicals took a beating today, pulling down KLCI as a result. Finance Malaysia is very pleased to be able to interview Malaysia's Super Model Amber Chia, who had already making a name for herself in Modeling. When given the chance to interview, Amber Chia had always been Finance Malaysia's mind. In fact, Amber is an icon of the industry nowadays. She even forays into international scene, bringing Malaysia's image with her. With effective from Year of Assessment (YA) 2009, Malaysian resident who acquired any residential property are given the specially designed tax relief of up to RM10,000 a year for 3 consecutive years from the first year the interest is paid. Residential property means a house, condominium unit, apartment or flat which is built as a dwelling house. This kind of tax relief was given by the Government to counter the property market downturn, or to spur the property mart after the 2008 global financial crisis. 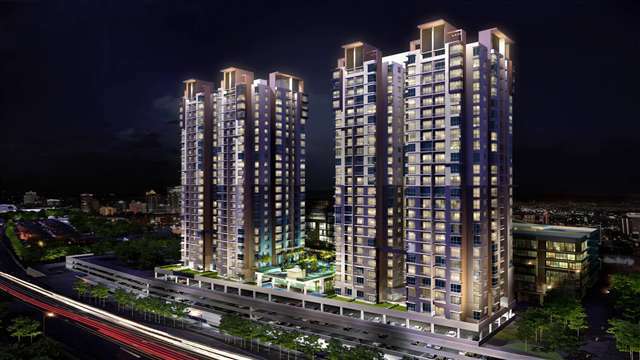 It has proven to be a success in Malaysia for the past 2 years, where property prices skyrocketed to a not so comfortable level for most of Malaysians. People are crying foul on the high price to own a house nowadays. What is the Terms and Conditions? To join in the Indonesia Theme bandwagon, OSK launched its own version of Indonesian Equity Growth Fund, which aims to achieve medium to long term capital appreciation through investments in securities of companies with high growth potential that are listed on the Indonesian Stock Exchange and/or companies listed on other exchanges whose business are substantially in Indonesia. 8 Answers to "WHY invest in Indonesia?" When we are having children, it's a gift from God. And, Malaysia is a blessed place to live, a place where no earthquake and volcano. Although we once hit by tsunami, but it brings minimal effect to us. Thank God. In line with the effort to increase Malaysian workforce, in achieving self-sustainable economy with strong domestic consumption, Government has laid out several tax relief especially meant for child. Dubbed as one of the "major investment" of a family, raising up a child could easily cost a family few hundred thousands (if not millions). 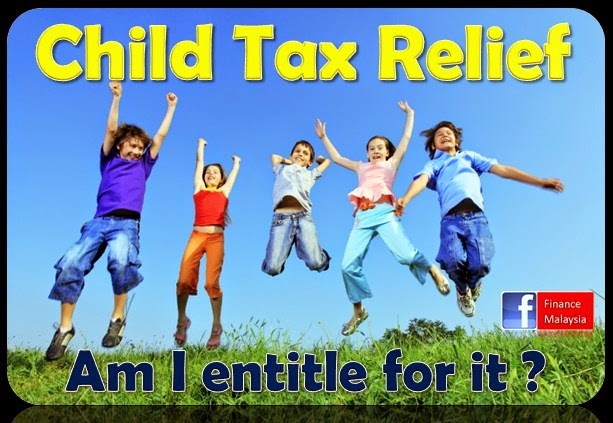 Let's take a look at some of the tax advantages of having a child. It's the month of April again, and it's time for us to file our personal income tax. Usually, people would wait until the last minute to do perform their once-in-a-year task (I myself is one of them). To encourage taxpayer to do e-filling earlier, Inland Revenue Board of Malaysia (IRB) said that those early birds can get their tax return money in 3 days. I don't know whether this is can be true, but I would like to give a try this year. For you, readers, Finance Malaysia will write more about topics related to Personal Income Tax this month. Welcome to the "Month of Tax", and we hope that the info posted here could help you to file your income tax confidently, error-free, and wiser. After being hit by a few Black Swan events, markets rebounded in March with the KLCI ending 1Q in the black. Moving into 2Q, we still see some short term volatility but are confident of an eventual rally to close in on our year-end KLCI target of 1680 points. We advise investors BUY Big Caps on potential rebounds while focusing on the more defensive Small Caps given their superior performance over the past few months. The favorite sectors remain Banks, O&G, Property and Construction in the mid-to-short term while the longer term buys are Media and Healthcare. This strategy is reflected in our April top buys as well. For March, timber stocks were actually the big winners, including names such as Suber Tiasa, Jaya Tiasa, TaAnn, WTK and Lingui, on hopes for better timber demand in view of reconstruction efforts in Japan. Nonetheless, these counters are not part of the FBM100. Instead, among the FBM100 constituents, media player Media Chinese and Petronas companies Petronas Dagangan and Chemicals were the big winners. Sectoral wise, O&G led the way followed by Technology (JCY), Media (MCIL), and Gaming (Genting).